Candidates can now apply Online for 740 Specialist Officer Vacancies in PNB. Bank has issued notification against recruitment of 740 Specialist Officer Vacancies in Scale- I, II and III. Indian citizens who have taken the Common Written Examination for Specialist Officer conducted by IBPS in 2011-12 and have a valid Score card are only eligible to apply (for Officer IT and HRD & Hindi Officer posts). Eligible candidates may apply online on or before 17th August 2012. Candidates’ age should be between 21 yrs & 30 yrs for posts 1, 2, 6 and 10, between 21 yrs & 28 yrs for posts 4, 7, 8 and 9, between 25 years & 40 years for post 5 & below 32 years for post 3. Cutoff date for determining age limit would be 01st September 2012. (Age relaxations will be extended as per Govt. rules). Candidates need to possess LLB/CA/ICWA/MBA/PGDM/Degree/Diploma/PG Degree/BE/B Tech/MCA as per the post applied for. For more details, refer to the notification. Candidates to become eligible for Posts Officer IT & HRD and Hindi Officer, must score in IBPS more than the minimum Total Weighted Standard Score (TWSS) as per the details given in the tabular form in the notification, post wise and category wise. Candidates must download the Cash Voucher from PNB official website and make the payment at any of the PNB branches. Amount of fee would be Rs. 400/- for General, EXSM and OBC candidates and Rs. 50/- for SC/ST/PWD candidates for posts 1 to 7 and Rs. 100/- for General/EXSM/OBC candidates and Rs. 20/- SC/ST/PWD candidates need to pay for posts 8 to 10. Selections would be made on basis of performance in Written Test and Interview for posts 1 to 7, IBPS Score and Interview for Posts 8 and 9 & IBPS Score and/or Interview and Group Discussion for Hindi Officer Post. 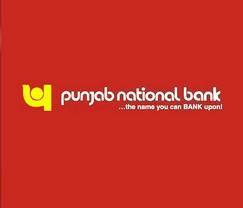 Eligible candidates need to apply only through Online mode from PNB website on or before 17-08-2012. After submission of application candidates can take a printout of the system generated on-line application form to be submitted at the time of the interview. The registration number and password generated should also be retained for future reference. 1. Log on to Bank’s website www.pnbindia.in to apply for the post online and select the ‘Recruitment’ link. 2. Select the appropriate link for downloading Cash Voucher for making payment. 3. Take print of Cash Voucher and make the payment at any of the PNB braches. 4. Revisit the Bank’s website using the same website address mentioned above and this time select Click to Apply Online link. 5. Select the Apply Online link for online registration, fill all marked details carefully and check once for accuracy before submission. 6. Upload previously scanned photograph and signature at the places provided and click on ‘Submit’ button. 7. Take print of Application Form and retain it along with the cash voucher for submission at the time of Interview (if asked for). For more details like vacancy distribution, CWE Category- Wise Cut-Off marks, pay scale, reservations, call letter details, interview details, other requirements and other instructions, click on the link given below.